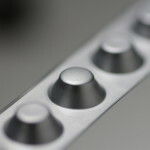 Our unit dose packaging consists of a novel blister technology combined with an internal single use nozzle. Our blisters are produced using pharmaceutical grade multi-layered thin film laminate consisting of aluminum encased in a polymer to protect the drug. 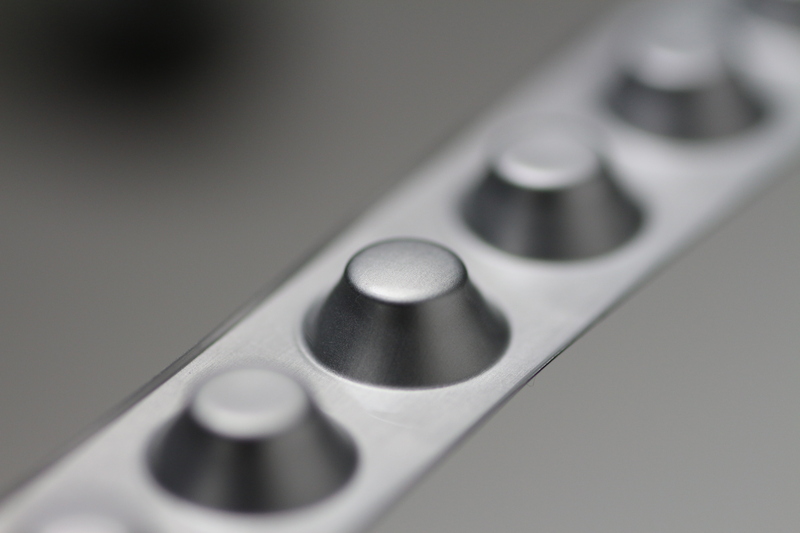 These high purity biocompatible laminates offer ultra-low extraction profiles and provide an ideal storage environment for your drug product throughout the shelf life. Laminates are virtually impervious to moisture, light and gas transpiration as well as microbial incursion. With solvent loss rates essentially similar to glass, this flexible system far outperforms competitive unit dose packaging technologies such as blow-fill-seal and are more efficient – packaging up to 75% less bulk drug compound for the same number of doses. Our unit dose blisters can be configured to package and dispense liquid doses from five to several hundred micro liters and powder dose volumes from five milligrams and up. Blisters are pre-loaded into either a VersiDoser® or VRx2™ dispenser system or a cartridge eliminating the need for handling by the patient. 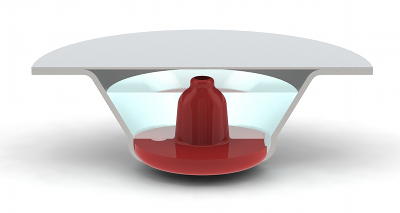 Every unit dose blister contains a proprietary Vjet™ dispensing nozzle within each blister. During the product integration process the Vjet™ design is tuned to deliver the targeted dispense characteristics based on the specific physical properties of the drug or biologic. The blister is optimized to dispense the correct delivered dose volume and comes preloaded into a dispenser device or cartridge for use by the patient or caregiver. Each blister contains a single use Vjet™ nozzle. This approach ensures the sterility throughout the “in use” cycle of the product during storage, transport and when it is in the hands of a patient. Delivery systems can be configured to dispense the product as droplets, a stream, aerosolized spray or powder on a consistent and reproducilble basis.